Probably the biggest and most enthusiastic group at the Philippine Cancer Society (PCS)’s Relay for Life event recently held at the Quezon City Memorial Circle, the 250 plus-strong contingent from Brother International Philippines, Corp. (Brother PH), along with their partners, family and friends, took turns going around the oval track in this year’s cancer awareness overnight vigil. This is the fifth consecutive year that Brother PH joined PCS’s Relay for Life, which annually raises funds for cancer awareness and patients’ services. Brother Philippines President Glenn P. Hocson said that their continued support for the event allows the company to contribute funds for cancer patients and support groups, give moral support to all patients battling the disease, and cheer on the cancer survivors who already won the fight against the Big C.
Hocson said that it is also the company’s way of providing its employees, as well as the company’s partners, opportunities to give back to those in need of compassion and support and to make them aware of the health risks that may lead to cancer. 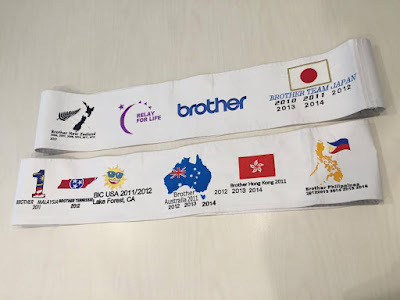 The company’s support for the program is in line with the Brother Group’s "Golden Ring Project", where different offices of Brother worldwide participate in Relay for Life events in their respective countries. A symbolic sash embroidered with the flag of each of the participating countries is being routed yearly so that they can add their latest year of participation in the embroidery work. "We echo Relay for Life’s battle cry: celebrate life, remember those who died of cancer, fight back and—If I may add—prevent cancer by living a healthy lifestyle," said Hocson.